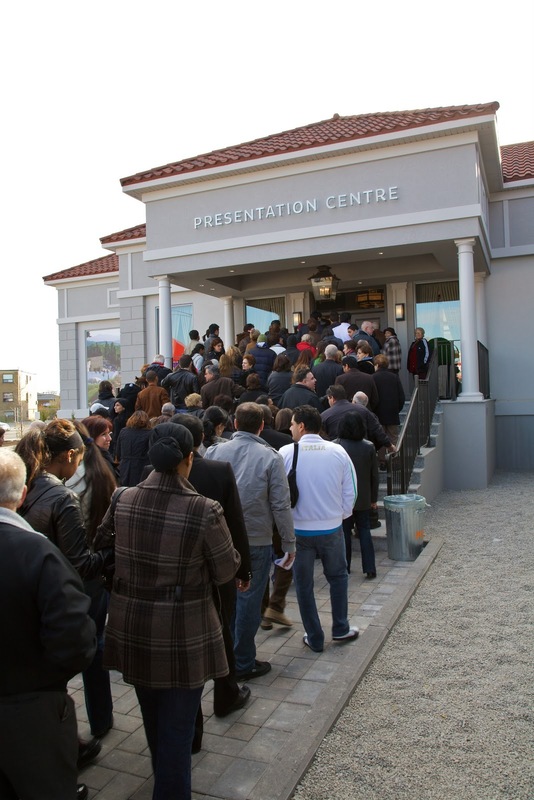 Were you at the Portrait Condos event this Sunday? A Meet and Greet was held for existing buyers - a great turnout throughout the afternoon, refreshments and delightful hors d'oeuvres were served, along with giveaways which included a coffeemaker, iPad, and a TV. Buyers also had the chance to meet the Developer Team themselves. Interested in this project? Construction has already begun, and anticipated occupancy begins early 2012. Plus for a limited time only, purchasers can now take advantage of free parking and up to $15,000 in free upgrades. For existing buyers, refer a friend and receive a $4,000 bonus if a unit is purchased. For more details and renderings for this project, visit this page. VIP Invite to The Station this Saturday - Priced from $189,900! Interested in The Station condos in North York, located near Wilson Station? There's a VIP Event this Saturday, November 27 from Noon to 4 pm. Special pricing will be offered, starting at an unbelievable $189,900! Refreshments will be served, along with an opportunity to win tickets to see Billy Elliot at the Canon Theatre. No RSVP is required, so head on over for your opportunity to purchase before the doors open to the general public! There’s nothing quite like good mood lighting to set the perfect backdrop to a holiday party - or any occasion for that matter! Even a slight change in lighting can have a dramatic effect, particularly in a small condo space. Dimmer switches are an ideal way to do just that. Not only are they an economical way to add value to your home, they will also enrich the way you live in it. Plus, the effective use of dimmers can help to offset continuously rising hydro costs. Thanks to Sarah (a.k.a. Thrifty Decor Chick) we've discovered just how easy it is to install dimmer switches, sans costly labour. She's graciously given us the green light to share with you with her simple step-by-step instructions (with photos!) for this quick little project. Why not try this DIY and give yourself the gift of beautiful lighting this holiday season? It’s much easier than you think! Follow the jump for detailed instructions. What might one do with all the fabulous greeting cards they receive over the holidays? Share and display them of course! They are little pieces of artwork, after all! We’ve pulled together some of our favourite ideas for creating simple, decorative displays using everyday household items. Christmas cards hung from branches can add a whimsical touch to any room. Consider displaying cards on many branches in a vase to create an entire Christmas card 'tree'! An easy centerpiece for your dining table can be created using forks as cardholders. This would be a lovely way to share cards with friends, family and acquaintances at your next holiday party! This decorative frame from by WhipperBerry is both fashionable and functional. The little wooden clothespins will hold your greeting cards securely in place, and will continue to display your seasonal cards, photos and notes throughout the year. The simplicity of tossing cards onto a plate or shallow bowl is not only pretty but practical – if you’re looking for an inspirational boost, simply pull out a card and read it! Remember, these ideas are great for the holidays but would also be perfect to use year-round! This week, we're heading to Mississauga North for a closer look at Tridel's Skymark West. 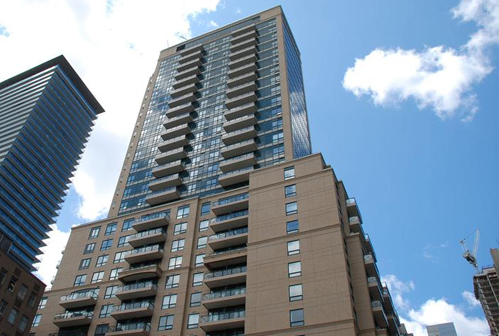 Completed in December 2000, Skymark West is located at Hurontario St and Eglinton Ave W. The building's incredible amenities, which include an indoor pool, squash / tennis courts, virtual golf and bowling, provide residents on-site access to activity and entertainment. Skymark West is also just a quick drive away from the popular Square One Shopping Centre, restaurants, entertainment venues and Hwy 403, offering convenience for all.In the past 30 days, a total of ten units have sold at Skymark West, with prices ranging from $226,500 for a 1-BR suite of 732 sq ft, to $460,000 for a 2-BR unit of over 1,300 sq ft. These properties spent an average of 29 days on the market. For more information on Skymark West, please click here. Ornaments aren’t just for trees! Here are some quick, easy and alternative ways to create festive displays using items you probably already have around your home. You can make an ornamental display by placing a bunch of ornaments in a serving bowl. The antiqued silver tray here looks great with its sparkly metallic ornaments, but we think that a wooden tray displaying ornaments in more muted tones would be great for a more rustic look. As you're decorating for Christmas, think about filling several martini glasses with ornaments in varying sizes for a sophisticated centrepiece. Sticking with ornaments of the same colour will maintain a sense of unity, while glasses of different shapes and sizes will keep the design interesting. This idea would also work well on a mantle or shelf! Placing Christmas decorations of the same colour family into baskets would be a great way to incorporate a some festive decor into a more casual room design. Why not opt for a touch of elegance by placing ornaments and lights in a clear glass vase? This can make for an elegant centrepiece at your holiday party. The ones shown here are displayed in a rectangular vase, but glass vases of all shapes and sizes would work just as well. We love the substance attained with a grouping of vases. Last but not least, a simple serving platter would be a beautiful and interesting way to display some decorative ornaments. We love the idea of this on a side table or buffet. This week, we're heading downtown to the Bay Street Corridor for a closer look at Cresford's The Bloor Street Neighbourhood (BSN). Completed earlier this year, the new BSN is located southeast of Yonge and Bloor streets, conveniently surrounded by everything that's quintessential downtown. Steps to the Yonge/Bloor subway station, Starbucks, The Second Cup, The Bay, Varsity Theatre and of course world-renowned shopping on Bloor Street makes BSN ideal for those who want it all. In the past 30 days, a total of eleven units have sold at BSN, with prices ranging from $299,900 for a 1-BR suite to $578,000 for a 2-BR unit. Seven units were also leased over the past month, from $1,375 for a 1-BR unit to $3,500 for a 2+Den. Of these units, those for sale spent an average of 23 days on the market, while those for lease spent an average of 25 days on the market. For more information on The Bloor Street Neighbourhood, please click here. Hello, November! Well it’s hard to believe, but once again it seems that the holidays will soon be upon us. That being said, today’s post marks the first of a weekly holiday series that we hope will inspire you to celebrate the season in style. So, you live in a condo. You’d like to get into the festive spirit, but your building has rules against the use of live Christmas trees. While today’s artificial variety looks pretty good, even the best “faux firs” lack that certain luster for you. If this sounds about right, stay posted because we’ve come up with some simple and modern natural alternatives to the traditional Christmas tree that should help to spark some holiday cheer! How about these visually stunning art pieces by possibiliTree®? They offer a 3-ft tabletop option or an incredible 6-ft option that’s designed to be suspended in an ethereal fashion. Available in a variety of natural woods, we love the idea of these strewn with sparkly monochromatic ornaments or simple white lights. When the holidays are over, you can pack and store these trees with ease, or continue to enjoy their artful simplicity throughout the year, unadorned. This charming pinecone tree as seen at Country Living is a simple DIY that can be decorated, though we adore the natural ruggedness of it bare. Directions for this project can be found after the jump. As a tabletop alternative, we like the look of these decorative Evergreen sprigs in pretty vases or pots. While it’s an easy DIY, they can also be found at various retailers online. You can embellish the sprigs with Christmas decorations to create an ornamental focal point, or leave them natural for a clean, simple accent in your holiday room design. Last but definitely not least, we're head over heels for the simple elegance of natural bare branches displayed in vases. As featured on Plush Palate, consider adorning these using ornaments, lights or even crystals for a sophisticated touch. We’re always interested in hearing the story that lies behind a new condo project, and Norstar Group’s Portrait Condos is no exception. We sat down with the developers to learn a little more about this new condo and what it offers to potential buyers. For those who like the idea of luxury living in the city, Portrait may offer exactly what you’re looking for. Quietly nestled at Bathurst and Sheppard amidst parks, trails and lush greenery, this dramatic eight-storey mid-rise is just minutes from a wide array of family amenities including schools, community centres and synagogues. 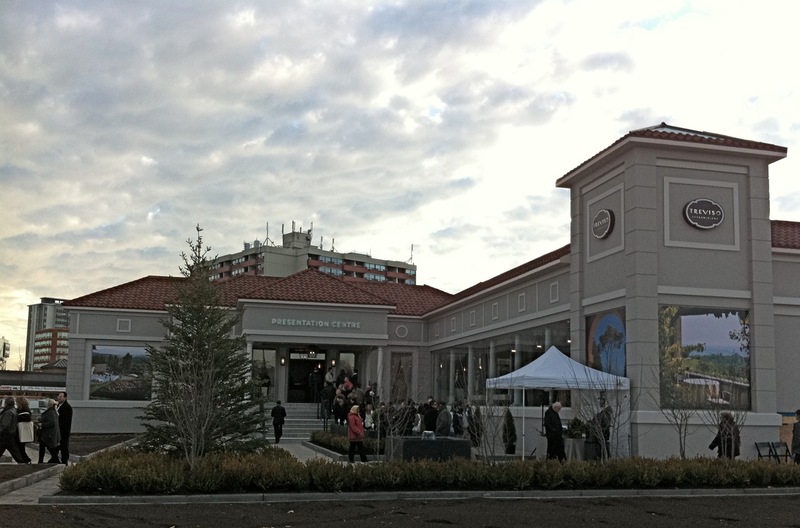 For shoppers, local plazas offer daily amenities such as banking and groceries, while Yorkdale Mall provides the style-conscious with access to over 240 stores and services. Downsview Station is right around the corner for easy access to public transportation, while the highway is a quick drive away. floor the same as the next). Nature will be brought to life at Portrait with its warm façade, manicured gardens and expansive courtyards – all inspired by the Mediterranean classical style. True to its name, we think that Portrait Condos is a picture of elegance in an upscale neighbourhood, and at just over $400 per sq ft, its value proposition can’t be denied. Suites start at $271,900 and include a parking spot. Plus for a limited time only, purchasers can now take advantage of up to $15,000 in free upgrades. For more information on Portrait Condos, click here. Anticipated occupancy begins early 2012, and construction has already begun – watch these homes grow via Portrait’s new live construction link! This week, we're heading to Bayview Village for a closer look at award-nominated ARC Condos. Completed in Fall 2009, ARC is located at the corner of Bayview and Sheppard. With direct access to Bayview subway station and right beside the upscale Bayview Village Shopping Centre, ARC is within easy reach of all that Toronto has to offer. Near-immediate highway access both east/west and north/south makes ARC a practical choice for people who want quick access to the best of the GTA. In the past 30 days, a total of two units have sold at ARC, with prices ranging from $343,500 for a 1+Den suite, to $347,900 for a 1-BR unit of 697 sq ft. Nine units were also leased over the past month, from $1,250 for a Studio space to $1,800 for a 2+Den suite. Of these units, those for sale spent an average of 38 days on the market, while those for lease spent an average of 21 days on the market. For more information on ARC Condos, please click here. The growing popularity of green roofs had us wondering what it really means to "go green". We recently met with Toronto-based landscape architect Scott Torrance to find out exactly what the buzz is all about. As a follow-up to Janice Mackie's informative post on the Distillery District earlier this week, we thought it would be fitting to have a look at the Distillery's Pure Spirit Lofts & Condos. Completed in Spring 2009, Pure Spirit is located in the heart of Toronto's historic Distillery District near Parliament and Front streets. Rich in character, the Distillery provides a picture-perfect backdrop to this residential tower which is within walking distance to critically-acclaimed restaurants, shops and galleries. Its quiet location just ouside the downtown "core" also provides quick access to public transportation and highways. In the past 30 days, a total of three units have sold at Pure Spirit, with prices ranging from $290,000 for a 1-BR suite to $325,000 for a 1+Den unit of about 639 to 645 sq ft, respectively. Two units were also leased over the past month, from $1,065 for a Studio space to $1,350 for a 1-BR suite. Of these units, those for sale spent from as little as 9 days to over 4 months on the market, while those for lease spent an average of 14 days on the market. If you’re wondering how property values are holding up, a 1-BR unit that sold in June 2009 resold last month for $12,100 more than it did last summer, while a 1-BR unit that sold in September 2009 resold this past June for $20,000 more than it did last fall. For more information on Pure Spirit, please click here. You know that feeling you get when you’re around someone who seems to live and breathe their craft? When you can almost feel their passion oozing out of their very being? Well, that’s exactly the feeling we had when we visited the presentation centre for Bisha Hotel & Residences earlier this week for an opportunity to mix, mingle and hear directly from the masterminds behind the project. In attendance were Mel Pearl of Lifetime Developments, Charles Khabouth of INK Entertainment, Alessandro Munge of Munge Leung and Rudy Wallman of Wallman Architects. Bisha was born out of a longtime desire to provide the city with a taste of luxury, at the same time maintaining a level of “hip-ness” and keeping the vibe down to earth. Unlike the other luxury projects he saw in the city, Charles Khabouth felt that Toronto was “lacking a luxury project with a bit of kick or lifestyle to it”. Having observed the social scene in LA and New York, he pointed out that you’d find people from all walks of life mingling in the same upscale locales, and it was that marriage of “luxury and hip” that he wanted to bring into a residential project here. And it shows. From the mid-century chairs that sit in the lobby of the Bisha sales office to the gorgeous, multi-functional showpiece with the appearance of metal origami in the model suite, it appears as though everything is a fine work of art. Each living space and design feature has meticulously been laid out, and it’s the subtle details – from suede-covered closets to corseted support columns – that bring the eclectic mix of elements together just perfectly. This definitely isn’t a cookie-cutter condo. There’s real substance here. And if the passion that shines through the presentation centre is any indication, Bisha Hotel & Residences is bound to be something exquisite. For more information on Bisha, please click here, and follow the jump for more photos.